Thank you for your interest in the ATIH workshop. It is an absolute honour to be the facilitator of such a profound transforming course, helping people to return to unity and start creating a reality from the purity and oneness of their own Hearts. I was born and raised in Russia, and was trained as a scientist. I graduated from the Samara Aerospace University, receiving a degree in Engineering; I also have degree in Management and Economics. During the time when I was a student at University, I began to realize that life was much more than I had thought it was. I had many questions, but couldn't find the answers. Modern science and education had not been able to help me, thus began my journey back to "understanding" myself, and the mysteries of the Universe. I studied and experienced many different teachings and spiritual schools around the world with different teachers, and I practiced yoga and meditation. For the past 20 years I have been travelling to sacred places in different parts of the world, meeting spiritual teachers, amazing people, studying everything I was attracted to: Metaphysics, Tibetan Healing Techniques, Family Constellation, Theosophy, Reiki Jin Key Do, RPT, Past Life Soul Regression Therapy, Yoga and Vedic Knowledge. I am also a certified Quantum Healing Hypnosis Therapist with Dolores Cannon, a Feng Shui practitioner; a Master Practitioner certified by Lillian Too; an Astrologer, graduate of the Astrological Academy of St. Petersburg, and have completed John Frawley�? ?s course in "Medieval Horary Astrology". Back in 2002, at a time when I was still searching, I came across Drunvalo�? ?s book Ancient Secrets of the Flower of Life. This book changed my understanding of life and sparked my curiosity. I wanted to find out more. However, at this time my life was preoccupied with having to take care of two small children and run a family business. Nevertheless, after moving to Australia, I gained an opportunity to finally take part in the Awakening The Illuminated Heart workshop. This experience changed me and my life. The picture was being completed and the pieces of the puzzle started falling into place for me after attending this course. It was an epiphany! I knew and felt that this was the way for me. I am convinced that human possibilities are endless. There are several ways of understanding the world, yourself and your place in this world: through religion, metaphysics, mysticism and science. I prefer to use all of these ways. Each of them has a piece of the puzzle to help us to get somehow closer to the rational understanding of things. If you feel drawn to this work, I would be honoured to have the opportunity to share it with you. I invite you on a Journey, after which you will never be the same again! �? ?Being in love, not in fear, is the primary key to higher consciousness. The workshop was highly organized and presented in a logical and interesting way. Full of practice and new experiences. The workshop proceeded in a warm and friendly atmosphere that was full of trust and openness. I can recommend this workshop for providing new meaning and love in your life. Elena is wonderful at communicating, clearly, concisely and with great examples. I enjoyed the course immensely and would include it on a bucket list. This course has amplified and integrated my awareness and enhanced my joy, love & gratitude in life. I am humbled by this gift - Thank you! Many thanks to Drunvalo and Elena for bringing this knowledge to the public awareness., this is the second time i have done this workshop and i got even more value out of the workshop this time round,I think this is because i have been able to process the ideas presented which allowed me to see what i missed in my first workshop. I highly recommend this workshop to everyone who has an awakened awareness. One of the benefits i received form the first workshop was improved communication between my wife and myself. There is a lot more that could be said. However instead I would just like to reiterate my previous words. I highly recommend this workshop to everyone who has an awakened awareness. Thank you Elena for an excellent workshop. Absolutely incredible and beautiful. Life changing and Elena is one of the best people you will ever meet in your life. Thank you so much Drunvalo and Elena. 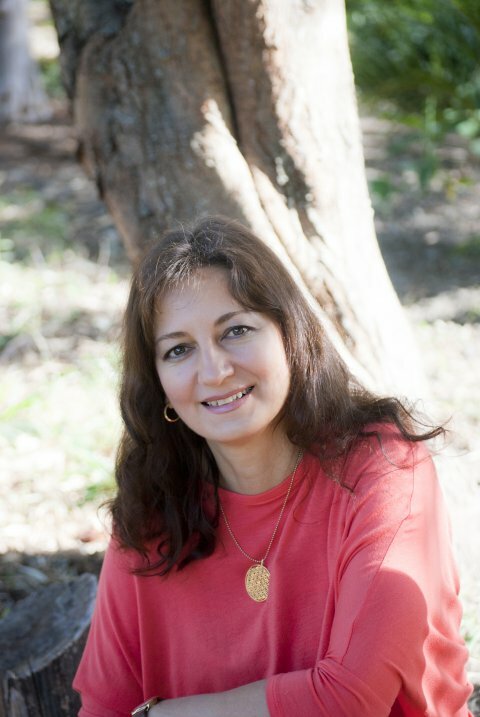 A remarkable, mind blowing, affordable course in enlightening self & connecting and trust with others, Elena is a brilliant guide for this enjoyable journey. Amazing value for money. Very interesting information. So many activities building up trust & connection. Very enjoyable. Elena was just absolutely wonderful. A Brilliant facilitator, very patient. Thank you Elena. This workshop was amazing, and so much better than I had expected. I loved that all aspects were covered in a logical procession, as well as brining the ancient wisdom along with scientific proofs together. Elena was wonderful at teaching and facilitating this workshop and knowledge. This is the first workshop I have been to where there was no ego or competition within the group. I believe this is both because of the motivation of the students (opening the heart) as well as Elena’s way of teaching and that she truly lives this way. I wholeheartedly recommend both this workshop and Elena to anyone who’s wanting to live from their beautiful heart. Elena did a wonderful job explaining everything with extraordinary detail. She was also very kind and gentle with anyone that struggled with any mediation or question and was able to guide them. I can't wait to do the course again with my wife who couldn't make it this time. I'm looking forward to the day courses like this are taught to the mainstream public through universities. Thank you for unraveling the mysteries of the universe and sharing them with us Drunvalo and Elena.